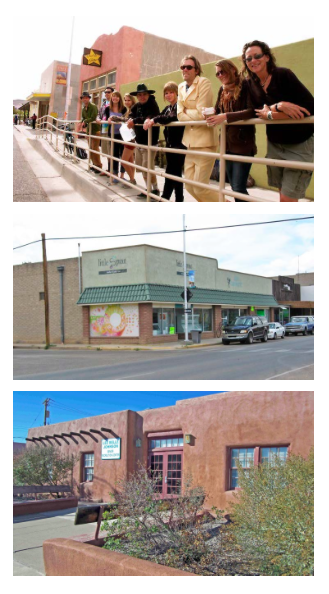 After its architectural tour of Truth or Consequences on Oct. 25, the Foundation hosted a presentation in Albuquerque on Dec. 16 with Consensus Planning Principal, Jacqueline Fishman, AICP, who was the lead consultant and planner for the City of Truth or Consequences’ Downtown Master Plan. Some who attended her presentation had participated the October tour, while other attendees were simply interested in learning more about TorC and how it is addressing its redevelopment plans. 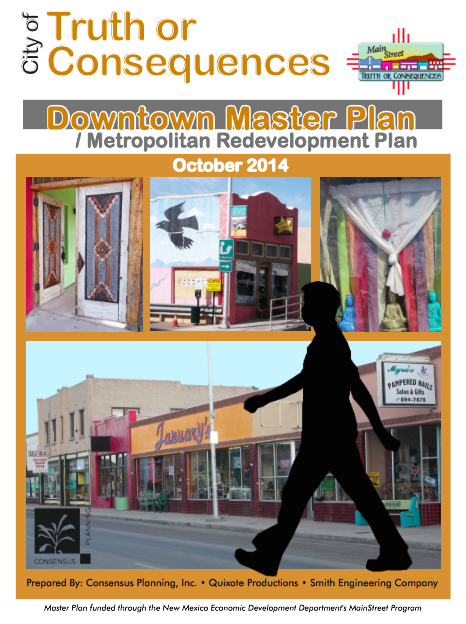 The city initiated a yearlong planning process for its downtown area in July 2013. After conducting an inventory of TorC’s assets, an in-depth market analysis, extensive public input sessions, and designation of downtown as a Metropolitan Redevelopment Area, Fishman presented the proposed Downtown Master Plan and Metropolitan Redevelopment Plan at a City Commission workshop in September 2014. 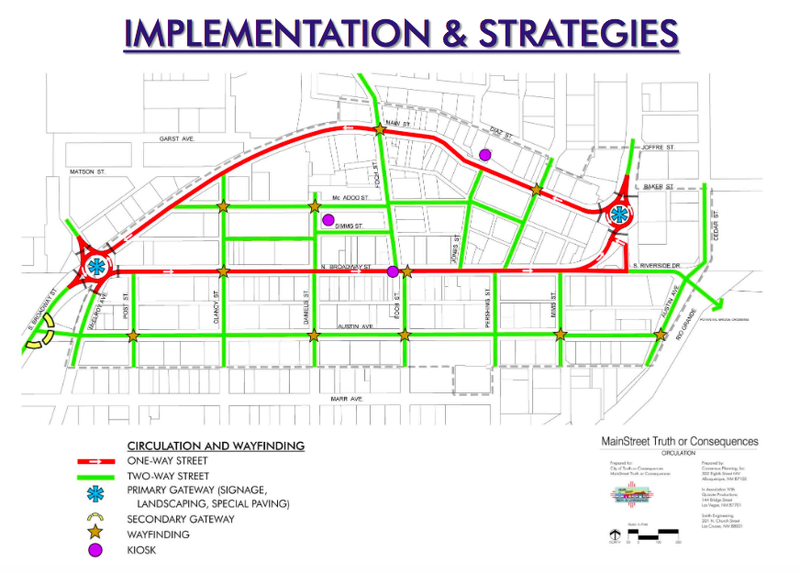 The plan was subsequently adopted by the City Commission on Oct. 14, 2014. “A lot of research goes into creating a master plan,” explained Fishman. “We conducted hours of stakeholder interviews, hosted walking tours, and held public input sessions – one of which was during the Second Saturday Art Hop, allowing us to engage a more diverse set of people including visitors and those that typically don’t attend public meetings. “I like to tell the whole story of the community,” she emphasized. “The issues we were looking to address included how can TorC encourage infill of its downtown retail base, how can we improve its infrastructure, all while preserving TorC’s unique history and character,” Fishman said. Some of the biggest challenges that TorC faces are with its infrastructure, Fishman noted. Systemic improvements are needed, with lots of attention required on roads, sidewalks, and access for those with disabilities. The utilities are outdated and undersized, and there are also issues with flooding. Design and construct the Healing Waters Plaza that can provide a focal point with its potential use as a community gathering/park space. Design and develop the vacant Buckhorn space that will help create more arts or retail related activity along Main Street. Construction of street and sidewalk replacements, along with ADA ramp additions. Design and construction of drainage improvements to address flooding issues. Develop a wayfinding plan that provides better signage for visitors. While these five improvements were identified as priorities, there were numerous other proposals in the plan – one of which included the addition of gateway markers at either end of the downtown. These may take the form of traffic roundabouts with entry signage, landscaping, and/or public art in the center of each and encourage slower traffic movement as motorists enter the downtown area.